An arsonist who escaped from prison hours after being convicted has been arrested in central London after contacting police. 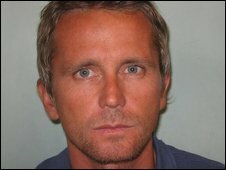 Julien Chautard, 39, went on the run after he was taken to Pentonville prison in north London on 27 March. He was convicted of arson with intent to endanger life at Snaresbrook Crown Court and jailed for seven years. Chautard called police several times following his escape before being arrested in Piccadilly on Tuesday. Metropolitan Police officers spoke to Chautard's family in France and the UK who encouraged the convict to hand himself in when he contacted them after going on the run. Chautard had also called the police a number of times before informing Det Insp Yasmin Lalani that he would be in Piccadilly on Tuesday. He is currently in police custody in north London. Ms Lalani, who arrested Chautard, said: "I would like to thank the general public, the media and the family of Julien Chautard both in the UK and in France for their co-operation with this enquiry."